March is upon us, and when I think of March I always think of St. Patrick’s Day and all things Irish and Celtic. I am a collector of cross pendants, and several of my pendants feature Celtic knots. However, none of my pendants seem to have the same celtic knot so I became curious and recently did some research. I was surprised to discover how many different types of knots are considered Celtic in origin—symbols that I see every day in signs, architecture, literature, and even in quilting. 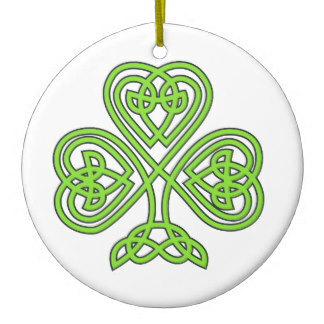 I am now more acutely aware of my surroundings and the influence of the Celtic knot in so many things I see. Celtic knots date back many centuries and were first created for decorative (secular) purposes but later for religious purposes. Early knots consisted of animals and spirals and were drawn with such detail that they became known as the “work of angels”. The knots vary from simple to complicated and are complete loops without any beginning or end—an unending style called pure knots. There are knot variations such as interlacing, spiral patterns, key patterns, and ropework and plaiting, which are geometric patterns. The use of only one thread highlights the Celts’ belief in the interconnectedness of life and eternity—the never-ending eternal circle of life. And what better time than this March to ponder life (the beginning of Spring) and eternity (the Resurrection)? Check out some of the many types of Celtic knots and their traditional meanings at my research resource: www.math.nus.edu.sg/The_Book_of_Celtic_Knots.pdf.